Celebrate annual Oktober festival with this young and attractive lady holding german beer! Great festive wall sticker! 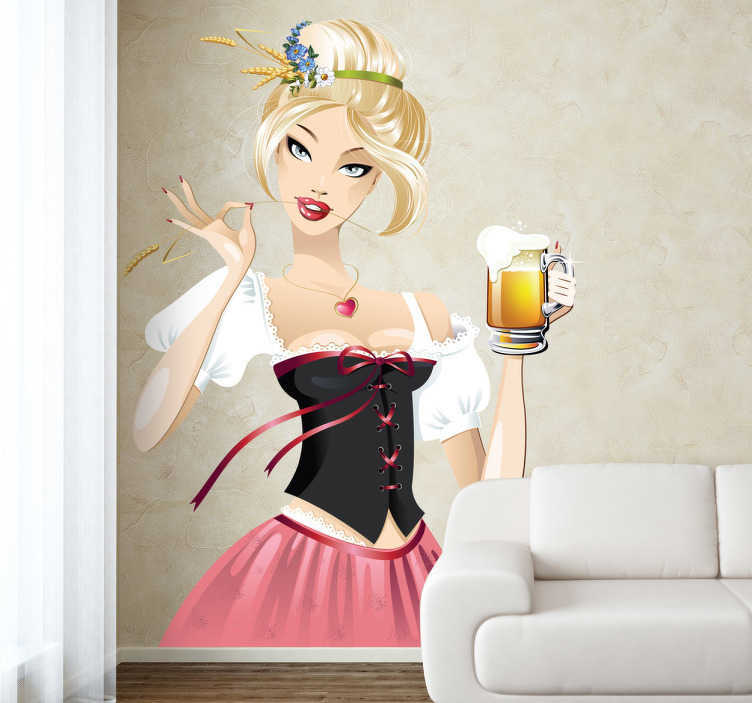 If you love this event and want to decorate your home or your pub then this is the ideal oktoberfest decal. This decal is super easy to apply and leaves no residue upon removal.